African youth played a keyrole in the massprotests all over the continent the last few years. While they proofed to have the power to overthrew regimes in Northafrica, they are getting more and more organized and are struggling to create space for a new kind of politics behind street protests, points out Professor Alcinda Honwana. In the 2013 “Lugard Lecture” of the “International African Institute” in London she takes a closer look on a youth between political marginalisation and an active role in the transformation of their countries. This lecture was first presented at the Fifth European Conference on African Studies, Lisbon, 28 June 2013. It is reproduced with the permission of the International African Institute. This morning I would like to focus our attention on the lives of young Africans struggling with unemployment, the difficulty of finding sustainable livelihoods, and the absence of civil liberties. Political instability, bad governance, and failed neo-liberal social and economic policies have exacerbated longstanding societal problems and diminished young people’s ability to support themselves and their families. Many are unable to attain the prerequisites of full adulthood and take their place as fully-fledged members of society. The recent wave of youth protests can best be understood in the context of this generation’s struggles for economic, social, and political emancipation. First, young Africans are living in waithood, a prolonged period of suspension between childhood and adulthood. I found the notion of waithood – to which I will return later – particularly relevant for analysing this stalemate. Youth transitions to adulthood have become so uncertain that a growing number of young men and women must improvise livelihoods and conduct their personal relations outside of dominant economic and familial frameworks. Their predicament is particularly galling, but it also inspires some to devise creative solutions. In recent years the accelerated economic growth raised hope for solving the socioeconomic challenges facing the continent. Yet, there is scepticism among youth that growth alone, without equity, will bring the solution to their problems. My second argument is that the recent protest movements, led mainly by young people, stem directly from the economic and social pressures they suffer, and from their pervasive political marginalisation. And the young are moving from dispersed and unstructured social and political acts into more organized street protests. And thirdly, while these social movements have been able to overthrow regimes, systemic transformation takes time and requires more than a mere change in leadership. Major challenges arise in the process of transition as a new political order is being established. Young activists appear to be struggling to translate the political grievances of the protest movement into a broader political agenda. Clearly, they seem to be more united in defining what they don’t want and fighting it, and much less so in articulating what they collectively want. The key questions then become: how to play an active role in politics and governance, beyond street protests, and how to create space for a new kind of politics? This analysis is based on in-depth interviews I conducted with young people in Mozambique, Senegal, South Africa, and Tunisia, between 2008 and 2012, which resulted in my two most recent books: The Time of Youth: Work Social Change and Politics in Africa (published in August 2012 by Kumarian Press in the USA), and Youth and Revolution in Tunisia (published in June 2013 by Zed Books in the UK). Taking the perspective of the youth involved in these movements, I examine their sense of being ‘trapped’ in a prolonged state of youth, and their view that global and national political structures create serious obstacles to real change and new politics. Thousands of young Mozambicans staged riots in Maputo in early September 2010, to protest a substantial rise in the prices of bread, water, and fuel. Using text messaging to mobilize their age-mates, they blocked the streets, burned tires, and confronted the police. The escalation of these protests forced the government to concede and reverse the price hikes. Few non-Mozambicans were aware of these dramatic developments. The events in Tunisia in 2011 attracted international attention. Youth from diverse social strata articulated grievances ranging from unemployment, to corruption, to the denial of free expression. They not only mobilized other Tunisians to oust the regime of Ben Ali, but also inspired similar activism within the continent, in the Middle East, and more globally. However, after the ousting of the regime, formal party politics superseded the broad base coalition of the street protests and marginalized young activists. In Dakar in June 2011, rallying around the movement Y’en a Marre! (Enough is enough! ), Senegalese youth came out to the streets, clashed with police, and managed to stop the approval of constitutional amendments that would benefit former president Wade. Galvanized by this victory, and using the slogan “Ma Carte d’Electeur, Mon Arme” (my voting card, my weapon), the young Senegalese helped to remove Abdoulaye Wade from office in February 2012. In the past couple of years, apart from the well-known events in Egypt and Libya, young people took to the streets in anti-government protests in Sudan, Angola, Burkina Faso, Malawi and Nigeria, among other places in the continent. The Middle East, Iran, Bahrain, Yemen, Syria, and more recently Turkey, have all witnessed youth riots. But youth protests have become a global phenomenon, not just an African and Middle Eastern story. Here in Portugal, in March 2011, the so-called geração à rasca (precarious generation) came out to the streets to denounce unemployment and the high cost of living. Since May 2011 the indignados (indignant) movement in Spain has been protesting economic inequalities and the lack of prospects for youth. In the UK, in August 2011, the killing of a young black man from Tottenham, in North London, sparked violent riots; youth from the poorest neighborhoods (and certainly not only from immigrant communities) burned cars and buildings and looted luxury goods, forcibly taking the desirable symbols of a consumer culture from which they feel excluded. In South America, Chilean students filled the streets of Santiago to demand high quality, low cost public education. In the United States, the Occupy Wall Street Movement rallied many young Americans to protest corporate greed and corporations’ undue influence over government. Beyond the disparities in their material, cultural, and political situations, young people in rich and poor countries are affected by similar problems of exclusion and restricted futures. And they are beginning to assert their rights as citizens, claiming a new space for themselves. What factors make waithood in Africa particularly depressing? Young Africans constitute a disenfranchised majority, largely excluded from major socioeconomic institutions and political processes. Whatever their class background, many youths cannot afford to form families and households and are unable to become fully independent and partake in the privileges and responsibilities of social adulthood. Liggey, which means work in Wolof, the national language of Senegal, is celebrated as an important marker of adulthood. The ability to work and provide for themselves and others defines a person’s self-worth and position in the family and in the community. Yet, the majority of young people in Senegal and elsewhere in Africa are unable to attain the sense of dignity embedded in the notion of liggey. In southern Mozambique, in the past, becoming a labour migrant in South Africa constituted a rite of passage into adulthood, as jobs in the South African mines helped young Mozambicans to become husbands, fathers, and providers for their families and, in turn, allowed young women to become wives, mothers, and homemakers. Today, however, African societies do not offer reliable pathways to adulthood; traditional ways of making this transition have broken down, and new ways of attaining adult status are yet to be developed. I use the notion of waithood, which means ‘waiting for adulthood,’ to describe this prolonged period of suspension when young people’s access to social adulthood is delayed or denied. While their chronological age may define them as adults, they have not been able to attain the social markers of adulthood: earning a living, being independent, establishing families, providing for their offspring and other relatives, and becoming taxpayers. They are consigned to a liminal space in which they are neither dependent children nor autonomous adults. Waithood was first used by Dianne Singerman (2007) in her work on youth in the Middle East, as she looked at delayed family formation and the increasing rates of youth unemployment. I found this notion to be very helpful in capturing young people’s feeling of being blocked in a stage of prolonged or permanent youth. Waithood also evidences the multifaceted realities of young Africans’ difficult transition to adulthood, which goes beyond securing a job and extends to aspects of their social and political life. Bongani, a 30-year-old man from Soweto in South Africa, has not been able find secure jobs since finishing matric (high school diploma) several years ago. He survives on temporary jobs mainly replenishing shelves in supermarkets and retail stores; he is not married but fathered a child, but without a steady and regular income, Bongani is unable to provide adequate support to his child. Bongani’s story is very common across the continent. Ibrahim Abdullah (1998) and Abubakar Momoh (2000) have pointed to the use of the vernacular term youthman, in many West African countries, to describe those who are stuck in this liminal position. Thus, rather than defining youth on the basis of age groups, I understand youth as a socially constructed category defined by societal expectations and responsibilities (Honwana and De Boeck 2005). A 40-year-old who is unemployed and unmarried is still a youthman. In contrast, at the age of 10, child soldiers, AIDs orphans, or child labourers assume adult roles, even if many of them are later on pushed back into waithood. While Singerman’s usage of waithood suggests a sense of passivity, my research indicates that young people are not merely waiting, and hoping that their situation will change of its own accord. On the contrary, they are proactively engaged in serious efforts to create new forms of being and interacting with society. Waithood involves a long process of negotiating personal identity and financial independence; it represents the contradictions of a modernity, in which young people’s expectations are simultaneously raised by the new technologies of information and communication that connect them to global cultures, and constrained by the limited prospects and opportunities in their daily lives. The severity of the impact of waithood on the lives of young Africans depends on each individual’s character, abilities, and life skills. But it is also, largely, a function of their family background, level of education and access to resources. Those from the middle class who well connected are better placed to secure jobs and have a smoother trajectory towards adulthood. But the experience of waithood also differs by gender. Men face the pressures of getting a steady job, finding a home, and covering the costs of marriage and family building. Although women are becoming better educated and have always engaged in productive labour alongside household chores, marriage and motherhood are still the most important markers of adulthood. While giving birth may provide girls an entry into adulthood, their ability to attain full adult status often depends on men moving beyond waithood (Calvès et al. 2007). Youth are especially vulnerable to the structural conditions that generate poverty and limit socioeconomic mobility. Declining opportunities in rural areas lead young men and women to migrate to the cities, where their chances of finding employment and stable livelihoods remain very slim. Although growing numbers of young people are completing secondary school and even attending university, the mismatch between educational systems and the labour markets leaves many unemployed or underemployed; they are pushed into the oversaturated informal economy or become informal workers in the formal sector (Chen 2006). The idea of desenrascar a vida or débrouillage situates the waithood experience in the realm of improvisation, or “making it up as you go along,” and entails a conscious effort to assess challenges and possibilities and plot scenarios conducive to the achievement of specific goals (Vigh 2009). These young people operate like Lévi-Strauss’s (1962/1966) bricoleur, a ‘jack-of-all-trades’ who manipulates and takes advantage of circumstances whenever possible to attain his/her own ends. Their actions sound like Michel de Certeau’s (1984) tactics, or daily struggles that respond to immediate needs rather than longer-term strategies designed to achieve broader ends (Honwana 2006). 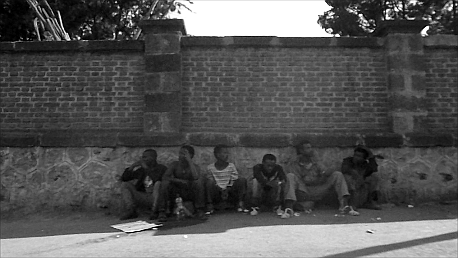 This experience and orientation is shared by young men and women who engage in street vending, cross-border trading and smuggling; those who plan and plot to migrate illegally to South Africa or to Europe; and those who end up in criminal networks as swindlers, traffickers, and gangsters. Young women and men also use their sexuality as a means of gaining a livelihood by engaging in intimate relationships with sugardaddies and sugarmamas for money, gifts, and access to fashionable goods. Indeed, as Christian Groes-Green (2011), Mark Hunter (2010) and others have pointed out, these new types of relationships are replacing previous patterns of intimacy among young people and generating new understandings of masculinity and femininity (Honwana 2012). Some young people become successful entrepreneurs by repairing electronic devices; making and marketing clothing and jewellery; and doing hair and nails. Others are creating new artistic, musical, and performance forms, making graffiti, painting murals, writing blogs, and becoming savvy Internet users. In this sense, young women and men in waithood develop their own spaces where they subvert authority, bypass the encumbrances created by the state, and fashion new ways of functioning on their own. These youth spaces foster possibilities for creativity; and as Henrietta Moore puts it, for self-stylization, “an obstinate search for a style of existence, [and] a way of being” (Moore 2011: 2). The process of self-styling is made easier by cyber social networks such as YouTube, Facebook, Twitter and Instagram. In the 1970s, British cultural studies researchers (such as Cohen 1972; Hall and Jefferson 1976) examined youth subcultures as sites of counter-hegemonic resistance born out of youths’ experiences of subordination and marginalization. Subcultural theories remain relevant to understanding the practices of young people in waithood within their own survival spaces. However, rather than generating identifiable and relatively stable social groups with clear labels and symbols (like the ‘mods’, the ‘rockers’ and the ‘skinheads’ – youth subcultures at that time), these new ‘youthscapes’ (Maira and Soep 2005) resemble Michel Maffesoli’s notion of “urban tribes,” understood as groupings that share common interests but whose association is largely informal and marked by greater “fluidity, occasional gatherings and dispersal” (1996: 98). Waithood constitutes a twilight zone, or an interstitial space, where the boundaries between legal and illegal, proper and improper, and right and wrong are often blurred. It is precisely at this juncture that young people are forced to make choices. Their decisions help to define their relationships towards work, family, and intimacy, as well as the type of citizens they will become. Rather than being a short interruption in their transition to adulthood, waithood is gradually replacing conventional adulthood itself (Honwana 2012). Many young people see waithood as stemming from national and global policies that have failed to reduce poverty and to promote equitable and broadly distributed economic growth. According to various political economists, structural adjustment programmes have seriously weakened African states’ ability to determine national policies and priorities, and to uphold the social contract with their citizenry (Rogerson 1997; Manji 1998; Potts 2000). Bad governance, corruption, and the absence of fundamental freedoms compound this predicament. Recent accelerated growth rates in the continent bear considerable promise. However, growth alone, without equity, will not guarantee social inclusion and better lives for the majority of the population. Indeed, young people rebel against the widening gap between the rich and the poor, and the rampant corruption that they observe as elites enrich themselves at others’ expense. Young Africans today are generally better educated and more closely connected with the rest of the world than their parents. The young people I interviewed did not seem like a ‘lost generation’ nor did they appear apathetic about what is happening in the societies surrounding them. They are acutely conscious of their marginal structural position, and no longer trust the state’s willingness and ability to find solutions to their problems. In their shared marginalisation, young people develop a sense of common identity and a critical consciousness that leads them to challenge the established order (Honwana 2012, 2013). Like other social groups, youth have always been involved in everyday processes of social change by fashioning the spaces within which they try to get by and assert their rights. Asef Bayat calls these dispersed actions ‘non-movements,’ which he describes as “quiet and unassuming daily struggles” outside formal institutional channels in which everyday social activities blend with political activism (2010: 5). In Africa, young women and men engage in civil society associations, in popular culture, in debates through cyber social networks, and in political demonstrations. If we pay careful attention to the lyrics of their songs, the verses of their poems, the scripts of their plays, and the discourses propagating in their Facebook pages, blogs, tweets, and SMSs we uncover a strong critique of the status quo. Striking is that, in the Africanist literature, little attention has been paid to broader debates on social movements, understood as collective groups “acting with some degree of organization and continuity” outside of institutional channels to challenge or defend extant authority (Snow et al. 2007: 11). A reason might be, as various authors have stated, that in Africa forms of non-violent political protest did not conform to dominant Western frameworks that inspired mainstream social movement theory (Wignaraja 1993; Thompson and Tapscott 2010; Bayat 2010). In this regard, more attention should be paid to young people’s “quiet daily struggles” outside formal political channels. Over the past few years, however, young people have moved from this “quiet encroachment” (Bayat 2010: 56) on public space to a more open and vociferous takeover of the national political stage, questioning their waithood status and demanding better lives. By taking to the streets united and braving police, some have overthrown dictatorships, voted out corrupt leaders, and forced governments to reverse unpopular decisions. In fact, from a vantage point outside dominant ideologies, the younger generations are capable of envisioning society and the polity anew precisely because of what Karl Mannheim (1952) calls “fresh contact,” a novel outlook that arises as they assimilate, develop, and alter the social and cultural repository received from previous generations. Yet, despite their successful protests, young Mozambicans have not seen fundamental changes in their socioeconomic conditions; young Senegalese are growing disappointed with the new government; and young Tunisians remain deeply dissatisfied with the direction and slow pace of change. All of them realise that translating a protest movement into an ongoing political presence that can shape public policies at the national level constitutes an immense challenge (Honwana 2013). Many young activists denounce old-style party politics and object to being manipulated by politicians, whom they regard as corrupt and self-serving. They consciously distance themselves from partisan politics, refusing to transform their movements into formal parties. In Tunisia, young activists continue to exert their veto power in the streets, and many refrain from participating in the partisan manoeuvring that has preoccupied the transitional government and the opposition parties in recent times (Honwana 2013). Similarly, the activists of Y’en a Marre in Senegal declined to join Macky Sall’s cabinet or to form their own party. Even those young activists who hold party memberships often complain that their voices are ignored. Simon Critchley (2011) suggests that the disconnect between youth and current political culture derives from the dissociation of power from politics. “Power is the ability to get things done,” “politics is the means to get those things done,” and democracy is the system that allows for power to be exercised by the people. Today, the divorce of power from politics is deepening because power is being seized by supranational finance and trade corporations and by transnational organised crime syndicates. Devoid of power, politics remains localised in the nation state and responds to the interests of supranational powers rather than to the will of the people. In this sense, ‘sovereignty is outsourced’ and democracy becomes a charade, as politics has no power but instead serves power. Critchley reminds us that the separation between politics and power happened, not by chance, but through the connivance of politicians who embraced free market capitalism as the engine for growth and personal gain. In the same vein, Aditya Nigam points to the current crisis of the ‘political’ and suggests that in the wake of the North African revolutions, these societies are “living in an interregnum when the old forms of politics have become moribund and obsolete but new ones have not yet emerged … Something, clearly, is waiting to be articulated in this relentless refusal of the political” by the younger generation (2012: 175). Young people are already developing alternative sites for social and political intervention beyond party politics and within civil society organisations. They establish and engage with associations that involve political action without requiring party membership. They fight for freedom of expression in the real and virtual worlds; they head anti-corruption and open-government campaigns; they work in youth leadership development programs, women’s rights, environmentalism and such like. In Senegal, the Y’en a Marre activists pride themselves on being non-partisan and vow to work towards making politicians accountable to those who elected them. After the protests, the movement is focusing its efforts on a national public campaign to create what they call a ‘New Type of Senegalese’ described as: one that is more socially and politically conscious, assumes her/his responsibilities as a citizen, and fights for the well-being of the Senegalese people. However, will civil society associations, as platforms of political action, be enough to help steer meaningful political change? Will it be possible for the younger generation to drive the creation of a new political culture from outside dominant political structures? Will street protests remain young people’s main mechanism for exerting pressure on those in power? How does this generation envision the ‘new politics’? These are some of the questions that will merit further research and analysis as the wave of youth protests and political transitions continue to unfold. Intriguingly, my young interlocutors seem to believe that it is possible to achieve fundamental change outside of dominant political structures, even if they have not yet fully articulated how to do so. In their view, transition processes are not linear; they take time and are full of twists and turns along the way. Nevertheless, there is no doubt that the ‘waithood generation’ is already standing up for itself, and making its mark in the world. Alcinda Honwana is visiting professor of anthropology and international development at the Open University. She has taught at the University Eduardo Mondlane in Maputo, the University of Cape Town and the New School in New York. She has written extensively on the links between political and violent conflict, culture, children, and youth. Her most recent work has been on youth and social change in Africa focusing on Mozambique, Senegal, South Africa, and Tunisia. Her publications include Youth and Revolution in Tunisia (Zed Books for the International African Institute, 2013), The Time of Youth: work, social change, and politics in Africa (Kumarian, 2012) and Makers and Breakers: children and youth in postcolonial Africa (2005, co-edited with Filip De Boeck). Abdullah, Ibrahim. 1998. Bush path to destruction: the origin and character of the Revolutionary United Font/Sierra Leone. Journal of Modern African Studies 36(2): 203–34. Bayat, Asef. 2010. Life as Politics: how ordinary people change the Middle East. Stanford, CA: Stanford University Press. Calvès, Anne-Emmanuèle, Jean–François Kobiane, and Edith Martel. 2007. Changing transitions to adulthood in urban Burkina Faso. Journal of Comparative Family Studies 38(2): 265-83. Kanbur, and Elinor Ostrom, 75–92. Oxford: Oxford University Press. Cohen, Stanley. 1972. Folk devils and moral panics: the creation of the Mods and Rockers. London: MacGibbon and Kee. Critchley, Simon. 2012. ‘Occupy and the Arab spring will continue to revitalise political protest’. Guardian, 22 March. www.guardian.co.uk/commentisfree/2012/mar/22/occupy-arab-spring-political-protest (accessed 25 February 2013). De Certeau, Michel. 1984. The practice of everyday life, trans. Steven Rendall. Berkeley: University of California Press. Groes-Green, Christian. 2011. The bling scandal: transforming young femininities in Mozambique. Young: Nordic Journal of Youth Research 19(3): 291–312. Hall, Stuart, and Tony Jefferson, eds. 1976. Resistance through rituals. London: Hutchinson. Honwana, Alcinda. 2006. Child soldiers in Africa. Philadelphia: University of Pennsylvania Press. ——— 2012. The Time of Youth: work, social change and politics in Africa. Sterling, VA: Kumarian Press. Honwana, Alcinda and De Boeck, Filip, eds. 2005. Makers and breakers: children and youth in postcolonial Africa. Oxford: James Currey; Trenton, NJ: Africa World Press; Dakar: Codesria. Hunrter, Mark. 2010. Love in the time of AIDS: Inequality, gender, and rights in South Africa. Bloomington: Indiana University Press. Lévi-Strauss, Claude. 1966. The savage mind (La Pensée Sauvage 1962). Chicago: University of Chicago Press. Maffesoli, Michel. 1996. The time of the tribe: the decline of individualism in mass society. Translated by Don French. London: Sage Publications. Maira, Sunaina, and Elisabeth Soep, eds. 2005. Youthscapes: the popular, the national, the global. Philadelphia: University of Pennsylvania Press. Manji, Firoze. 1998. The depoliticization of poverty. In Development and rights. ed. D. Eade, 12–33. Oxford: Oxfam. Mannheim, Karl. 1952 (1927). The problem of generations. In Essays on the sociology of knowledge. ed. P. Kecskemeti. London: Routledge. Momoh, Abubakar. 2000. Youth culture and area boys in Lagos. In Identity transformation and identity politics under structural adjustment in Nigeria. ed. Attahiru Jega, 181-203. Stockholm: Nordic Africa Institute. Moore, Henrietta. 2011. Still life: hopes, desires and satisfaction. Cambridge: Polity Press. Nigam, Aditya. 2012. The Arab upsurge and the “viral” revolutions of our times. Interface 4 (1): 165–77. Potts, Deborah. 2000. Urban unemployment and migrants in Africa: evidence from Harare, 1985–1994. Development and Change 31: 879–910. Rogerson, Christian. 1997. Globalization or informalization? African urban economies in the 1990s. In The urban challenge in Africa: growth and management of its large cities, ed. C. Rakodi, 337–70. Tokyo: United Nations University Press. Singerman, Diane. 2007. The economic imperatives of marriage: emerging practices and identities among youth in the Middle East. Working Paper 6. Washington DC, and Dubai: Wolfensohn Centre for Development and Dubai School of Government. Snow, David A., Sarah A. Soule and Hanspeter Kriesi. 2007. ‘Introduction’. In The Blackwell companion to social movements. eds. Snow, David A., Sarah A. Soule and Hanspeter Kriesi. Oxford: Blackwell Publishing, pp. 1–16. Thompson, Lisa and Chris Tapscott. 2010. ‘Introduction: mobilization and social movements in the south – the challenges of inclusive governance’. In Citizenship and Social Movements: Perspectives from the global south. eds. Thompson, Lisa and Chris Tapscott. London: Zed Books, pp. 1–34. Wignaraja, Ponna.1993. ed. New Social Movements in the South: empowering the people. New Delhi: Vistaar Publications. Vigh, Henrik. 2009. Youth mobilization as social navigation: reflections on the concept of dubriagem. Cadernos de Estudos Africanos 18/19: 140–64, Instituto Universitário de Lisboa (ISCTE).